So the closed season is upon us again, I didn't have a great one to be honest but managed to get out every weekend and caught some nice fish. I had planned to fish the float down the 'Brook' but with heavy rain the day before the river was up and coloured so I decided to stay in one swim and fish a couple of rods with pellet as bait. Much fresher than I thought with a bitterly cold wind, not exactly pleasant. In the first hour I had a couple of Chub and then the swim went dead. 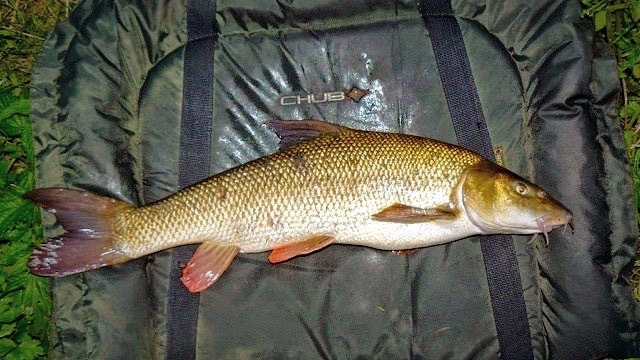 I had a whacker of a bite that much have been another Chub but eventually I had the classic four foot twitch and I was playing a Barbel. A powerful fight in the flow but eventually in the net. I didn't weigh it but it was something like 5 or 6 lb. Most welcome though. So the double figure canal Zander challenge is here and I'm looking forward to it. When I get a chance to get to the cut that is, holiday and Fatherly duties are getting in the way. 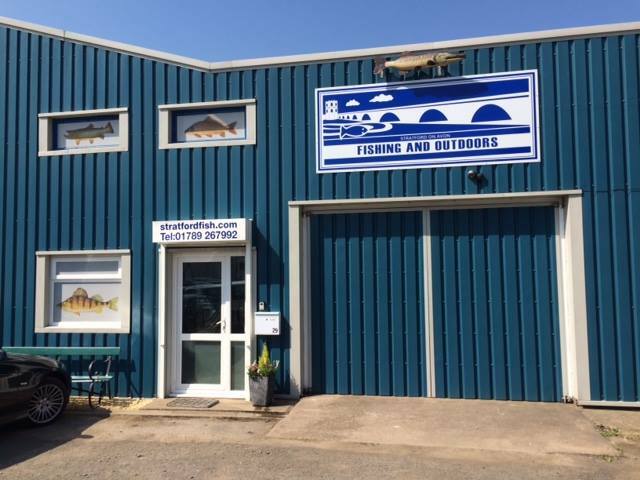 I'm now a lure anglers canal club member so I can fish from Hatton Bottom Lock all the way through to Stockton, approximately 12 miles of canal to try and search out an elusive double figure fish (They are there somewhere and I've been given a couple of leads). I'm planning to use a lure rod to find some fish then exclusively fish deadbaits. I'm hoping a few nice Perch might get in the way. Zander come with a bit of a reputation, and often disliked. I personally love them as a species and for us lucky Midlanders well worth a go in the closed season. As the evenings are getting lighter I'm also going to use my Chinese toxic float set-up :) , it's geared up for an isotope and I've never float fished for them before, even though I've done pretty well catching plenty of Zander I think I've been missing a trick. Warwickshire Avon - The Redfin of Brobdingnagian Proportions. My often unfathomable and idiosyncratic dreams full of fright, fantasy and funbags (usually the result of too much port and stilton) was pleasantly replaced with a chimera of cyprinidae, it featured a redfin capture of Brobdingnagian proportions from a swim I knew very well. The flashback in the morning was so strong in my subconsciousness I ditched the barbel session entirely, codged together a suitable roach set-up and buggered off to an entirely different area of the river around 5 miles away. Before I left the house to go on my mission the Wife said maybe I should professional seek help, not the first time I’ve been told that but hey, if there is a sense of reality, there must be a sense of possibility. As an angler and mediocre specimen fish seeker, there’s no room for pessimism. She clearly didn’t understand the dilemma I was in………. 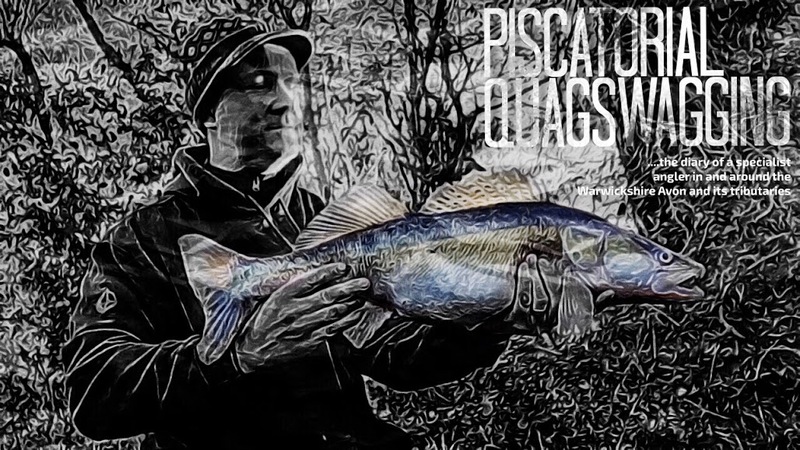 Sadly the probability of catching anything other than the norm was low, the story of my piscatorial life………. The main set-up was simple my 11ft avon quiver rod, a cage feeder filled with liquidised bread and maggot to provide a nice scent trail. Hookbait was worm or a bread disc. I’ve found large dendrobaenas fantastic for Roach, with the worm secured on a size 14 wide gape Kamasan B983 the majority of bites resulted in a banked fish. Weirdly the Roach don’t tend to be so keen on the smaller worms maybe they are less visible and not as enticing as a bigger wriggler who knows. But bigger the better as worms go. So to try and single out the bigger roach with bigger mouths I ditched the dendrobaenas for lobworms and switched to a size 10. With lobs I tend to hook them through the saddle and then break the worm at that point, you get double the usage that way but it also releases the juices the fish seem to love. A lob worm head or tail if you will. The folded bread discs to be used were the size of a 2 quid coin , I’ve had Roach well over a pound on the local reservoir using baits this size (before I started to properly weigh them ), so no reason to change for this session. To try and avoid spooking the more weary fish I used a 1m hooklink of super low diameter reflo power line with a shot added an inch from the hook to sink the bread. The Roach were still there when the rig first settled, again nothing of size sadly but at least I was catching. After the 5th or 6th fish the swim went quiet and lo and behold a tentative bite and a fish was hugging bottom this was no Roach. Yeap, a greedy Jack Pike that I managed to land as it was hooked in the scissors. I started catching Roach again and the biggest went 10oz. Using bigger pieces of worm, bites were often missed, probably something like 1 in 5 resulted in a banked fish. So where was this massive Roach then, ? nowhere to be seen. It didn’t help that I had to cut the session early too as a flu fever took over and hot sweats changed to my entire body covered in goose bumps. I was rough the rest of the weekend. With the closed season here with us next week, it will have to wait for another day. I returned through the woods and again took a load of dumped angler’s rubbish hanging from tree home, discarded rubbish today was a load of cheap Polish beer cans and tins of sweetcorn, in a Lanes carrier bag. I despair. With the air temperature on the increase I was hoping the Barbel might be on the move after a few weeks of cold and wet wintry weather. The Warwickshire Avon was still up after a deluge of rain from the previous week it remained caliginous and tea like in colour. It suited a pungent bait, a Medusa ball of ammonia leaking maggots. I filled a swim feeder with meaty groundbait and cooked hemp and positioned in an area of slack just off the main flow of the river. Fishing at dusk and well in to dark certainly in my experience anyway brings out the bigger fish similarly when the water is up and coloured, it really does get them confident and feeding. The Augustus Gloop Affect. The cold is the biggest issue as a big Barbel doesn’t want to waste much energy finding food so making it easier to find can only help. My nose was testament to the odoriferous bait, it stank, a fetid fish finding food if there ever was one. If Mr Whiskers didn’t fancy it I’m sure a greedy Chub would be more than interested, and this morning they were. 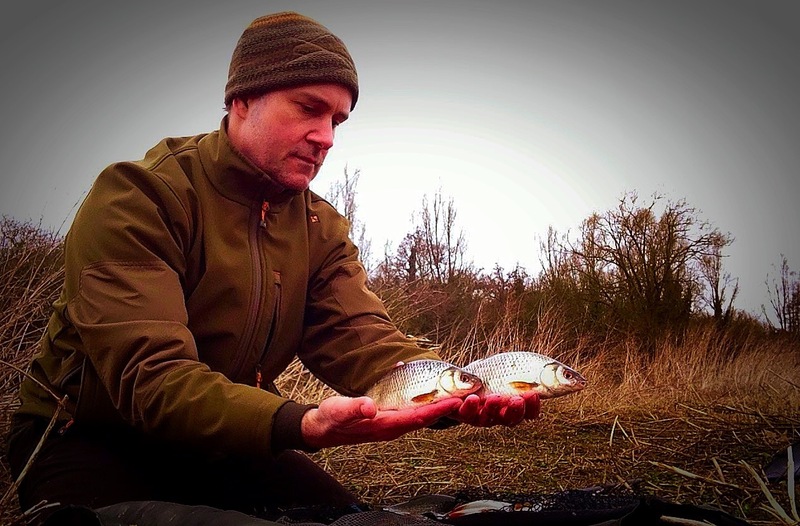 3 powerful fighting Chub, 2, 4lb on the nose and another 3lb 14oz that had been in the wars. Not the intended species but I do love catching Chub. The first felt like a Barbel when I was playing it and gave one of the most powerful bites I’ve ever received from one. Respect.